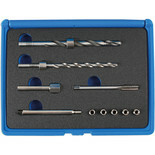 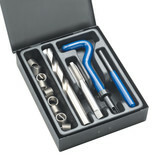 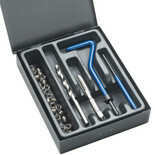 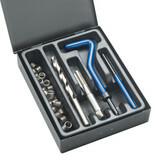 Compact kit for re-threading holes in castings etc which have damaged threads. No special engineering experience required. 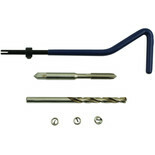 The Laser 6007 Thread Repair Kit M5x0.8 includes an insertion tool, HSS tap, HSS drill and three threaded inserts. 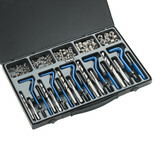 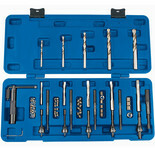 This kit is ideal for repairing and restoring damaged threads saving time and money. 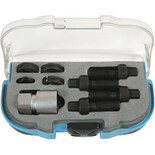 The 6958 kit provides the special tools required to drill out the broken bolt and fit M6 threaded inserts to allow new OEM M6 bolts to be used.